NarniaWeb Community Forums • View topic - What should the castles/palaces of Narnia look like? What should the castles/palaces of Narnia look like? I love imagining what things will end up looking like whenever a new Narnia adaptation is in the works, and lately I've been pondering on the castles and palaces of Narnia especially. Cair Paravel in Walden's LWW is honestly a bit too much for me; I do like the Mediterranean flavor, but it's so sprawling and almost imposing. I would love it if Netflix and company took some inspiration from Mont-Saint-Michel in Normandy for their version of Cair Paravel. It really calls to mind "Cair Paravel on its little hill" for me. In contrast, this rendering of what Burg Hohenzollern in Germany once looked like in the Middle Ages made me think of Miraz's castle. It's very no-frills, and all those high, windowless walls seem perfect for keeping all of the Old Narnians out. What do you think these castles should look like? What about the Tisroc's palace, or Anvard, or the castles of the witches, both green and white? Re: What should the castles/palaces of Narnia look like? I don't have a very visual imagination so I don't have a lot of specific ideas about what things in Narnia should look like. (I think that's why I get more excited about visuals in the Narnia movies while some other fans say the characters are more important. I'm fine with the characters in my head. But the visuals from my imagination could be improved.) Here's something I wrote in the comments sections for the podcast about how I feel Narnian visuals should be like. "The Narnia books are really idealized and unrealistic in some ways (no one except for maybe the dwarfs has a job but no one in Narnia seems to be poor) but they feel very real when you read them because of Lewis’ realistically observed details. The design of the movies, the armor, the costumes, the sets, the props, did a great job of capturing this balance. I can’t explain how they did it but they made it both feel like something out of a storybook and like something from a real culture. I wasn’t initially a fan of the look for the cinematic Telmarines because I thought the Telmarines should be deliberately boring looking. But now I feel like that would have been interpreted as just being lame production design. I’ve grown to really like how it looks like it’s from a gritty historical drama in contrast to the magical looking Narnia designs. It really does feel like an alien presence has invaded Narnia." A set which I didn't like from the Narnia movies which I still don't like is the White Witch's castle. I think it should be stone instead of ice. That fits in with the Witch turning people into stone. Ice also melts while stone doesn't so ice seems less grim and intimidating. Plus an ice castle is just cliché for this type of villain. Hopefully, the Netflix series will give the White Witch the stone castle she deserves. That's the only idea for a specific set that I have right now. I'm sure I'll have more to say though when pictures are released. For better or worse-for who knows what may unfold from a chrysalis?-hope was left behind. Yes! No ice castles! 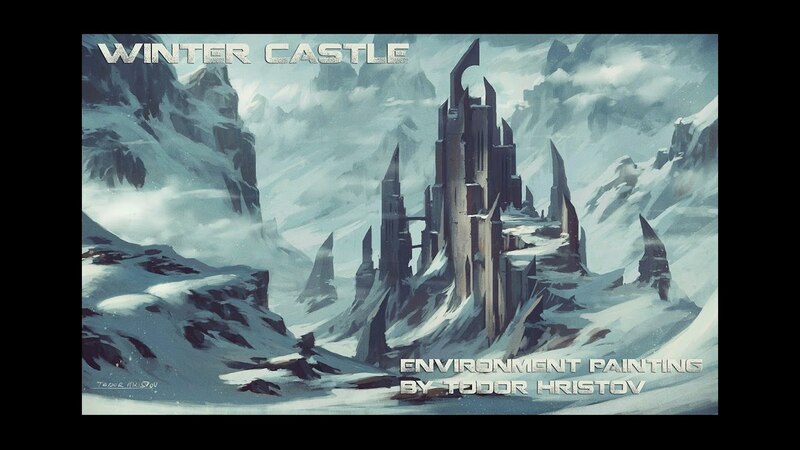 Really, the witch's fortress in LWW looked like someone stuck the Disney castle in the deep freeze! I definitely want a stone castle for the witch, with an iron portcullis for the gate. All the castles in general should just look more medieval- Cair Paravel looked to much like a palace and not a real castle. Cair Paravel looked to much like a palace and not a real castle. Meh, the purpose of a real castle is for people to be defended during a war. The only time Cair Paravel is attacked (in The Last Battle), it falls. But there are a lot of scenes of feasting and celebrating at Cair Paravel. So I think it makes more sense for it to feel like a palace. Now Anvard being a fortress for the Archenlanders during war is an important plot point. So that should definitely look like a castle. Of course, they're going to need it to look a little homey too since Shasta and Aravis end up living there. I'm not sure how they can make a fortress look homey. But since the characters spend so much time running from enemies maybe it won't be so hard. Anvard is described as being made of red sandstone- for some reason, even though I have seen red castles before, that color just doesn't look right for a castle. Too warm and houselike, I guess. I wouldn't mind Anvard being a good old fashioned gray stone castle that looks like... a castle. Not a mansion. Not a palace. A fortress. Col Klink: As for Cair Paravel, I think a palatial interior would work- just not a Mediterranean look. I've imagined its inside looking more like that of a 14th or 15th century royal castle in northern Europe- just a hint of Renaissance, with plenty of ornate decorative artwork on display, but also towering stain glass windows ( I personally would like to see these used if they show the burial chamber/effigy of Caspian's Queen in SC) and perhaps torches hanging in the passages. The banquet hall (which I think we all want to see) should be classic medieval- long rows of tables and a four-throned dias as described in PC. The exterior could still be a fortress. I actually want it to have a high crenellated wall facing seaward so that archers can fire at the approaching Calormene ships in the Last Battle. I mean seriously, who doesn't want to see that struggle take place instead of hearing it by word of mouth (or beak since it's the Eagle who gives the news)? Sure, the castle (it's almost always called a castle by the way) falls in the end, but I think we want to see the Narnians put up a fight. Not just get pathetically slaughtered. just a lot of pillars in general.. and gardens with those cucumber-like cypress trees growing in rows makes a pretty interesting place to look at. And just the perfect setting for conspiracies and political intrigue. I actually want it to have a high crenellated wall facing seaward so that archers can fire at the approaching Calormene ships in the Last Battle. I mean seriously, who doesn't want to see that struggle take place instead of hearing it by word of mouth (or beak since it's the Eagle who gives the news)? Actually, I feel that what gives the scene its punch is the fact that we hear about it without any warning. They could show the beginning, I suppose, and not show who wins. But that doesn't have anything to do with set design. I agree with you guys about the ice castle. While I do like the fact that it's a really unpleasant environment to be kept prisoner in (brrr), ice also carries a temporal connotation with it — it cracks, chips off, and melts easily. I mean, seriously, I don't want a castle that we could make snow cones out of. The castle at Anvard is one of the few times that Pauline Baynes has had very little influence on my imagination. 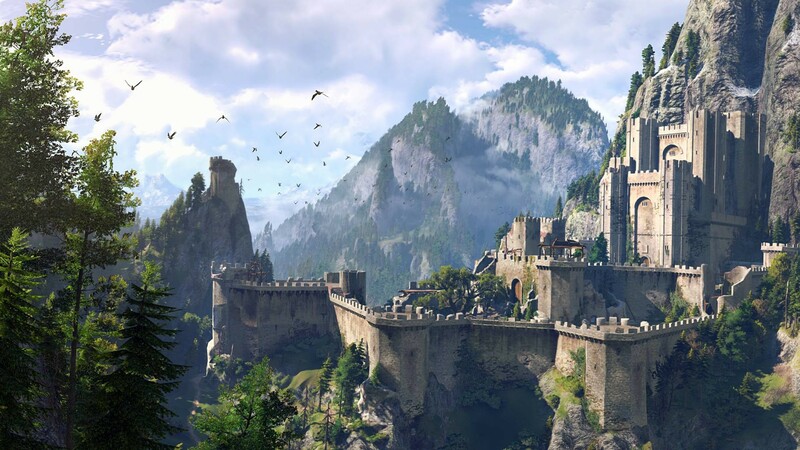 I've been looking around at different pictures, and this mountain castle from a video game called Witcher (which is apparently being turned into a Netflix Original) does a good job capturing my sense of what it would look like. I've always thought of the castle itself as being quite compact, but the walls and peripheral towers in that design help fortify it against attack. Still, the castle can't be overly fortified... there's a reason why Rabadash thought it would be easy pickings. The desert was its primary defense before the events of HHB, with Narnia as a buffer to the north. 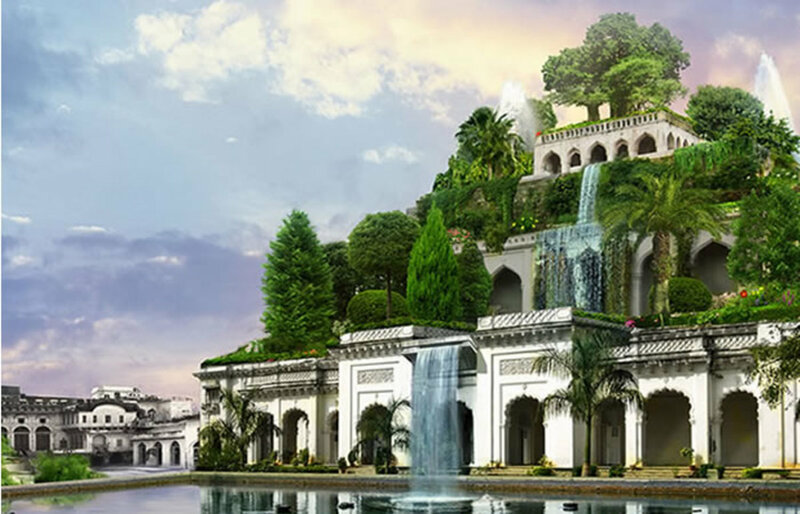 For the Tisroc's palace — if they wanted to do something completely different from Disney's Agrabah, which is probably likely — I think that a mash-up of the Hanging Gardens of Babylon and Aztec architecture could be really cool. 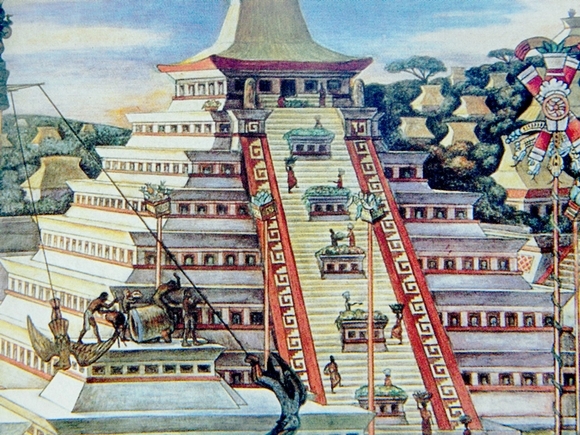 I think that a mash-up of the Hanging Gardens of Babylon and Aztec architecture could be really cool. Those are good ideas for the Calormene architecture. I think the Tisroc's palace and Lasaraleen's abode should be beautiful but also intimidating. You love to look at them but somehow you wouldn't quite like to live there. Anvard and Cair Paravel should look homier. 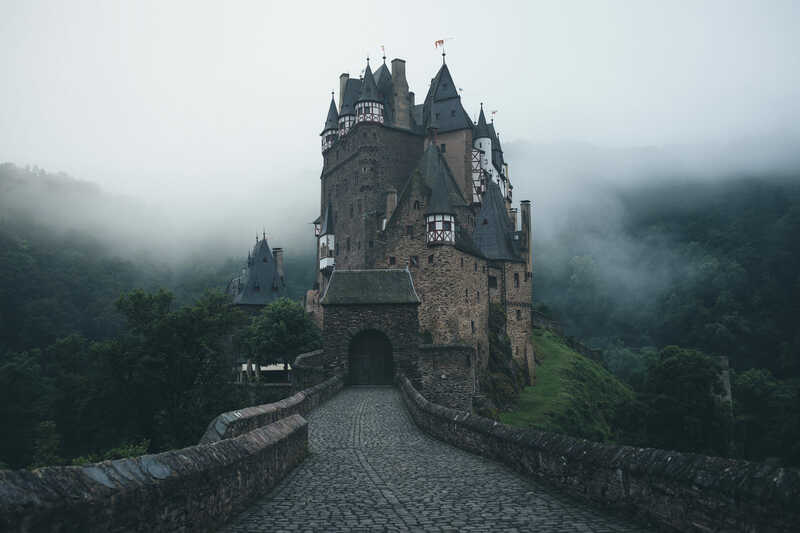 I saw this picture of Burg Eltz in Wierschem, Germany the other day and it gives off a very Harfang vibe, imo. The proportions may need adjustment and it's not very sprawling, but I like the aesthetic. I was also looking up pictures of winter castles for inspiration for the White Witch's house, and I really like this concept. Yes, it does look perhaps a bit hi-tech for Narnia, but Jadis is from an alien civilization that may have been very advanced, and while those blade-like towers aren't exactly like the needle-like ones that Lewis describes in the book, their cruel edges make me think of the Stone Knife. As for the Green Witch, I don't have a super clear vision of what I'd like to see with the castle in Underland, only that I do not want the designers to take inspiration from the location. Yes, stalagmite turrets and towers would look cool, but I want to see a pretty, stately and civilized castle that looks utterly out of place in its environment... just as out of place as the beautiful woman and the knight on the giant road earlier in the story. I want the discordance to be unnerving. Maybe something like this, except with less light. I have been looking into red castles since Anvard was suppose to be red and I found that there are a number of Indian Castles that I like the look of and that present a look I would like to see put into the castles in Narnia or at least the one in Anvard. But, I also like this castle for Anvard which is not red but instead yellow like the desert Shasta and Aravis crossed. So, right now I am divided on this one. My dream Cair Paravel castle right now is this one. https://imgur.com/1b6li I love the idea of water in the fortress. For Harfang and the White Witch's Castle I really like the designs that The Rose-Tree Dryad mentioned. I think they should try to incorporate many different types of castles from many different cultures into the Chronicles. Homeschoolers taking over the World! As long as the castles look like CASTLES, I’ll be ok with them. It doesn’t take a genius to tell a castle from a palace. Hehe. But for Cair Paravel, I’d like the castle to look stately but homely: It’s the symbolic home of Narnia, not just a stronghold. All other castles can look like fortresses. The Witch’s house & Miraz’s castle, Harfang & The Underland Castle, Tashbaan & Anvard. There’s a openness to Narnia when Aslan’s Kings & Queens lead it. All other places are more like our world: Scared of invaders. The version of Cair Paravel in 2005's LWW looked more like a seaside Italian village rather than a castle for kings and queens! Personally, when I think of Cair Paravel, I think of something that looks more like Chateau de Chambord in France. "Today you are you, that is truer than true. There is no one alive who is youer than you!"